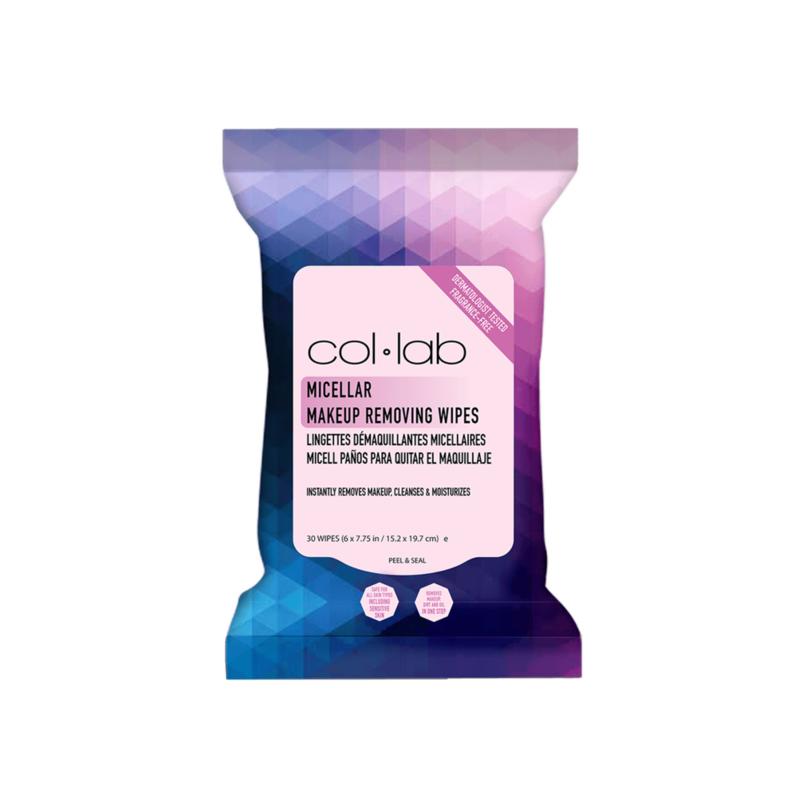 Super convenient, easy-to-use wipes gently yet effectively lifts away makeup, dirt and oil anytime, anywhere. Silky cloths infused with nourishing cleansing water removes even the most stubborn makeup without the rinsing or harsh rubbing. Skin is left feeling incredibly smooth, clean and hydrated with a healthy looking glow. Allergy tested. Dermatologist tested. For eye make up removal: hold towelette over closed eyes for a few seconds, then gently wipe away. To clean skin & remove face makeup: gently wipe towelette all over until skin is completely clean. Use daily, AM/PM. Water/Eau/Aqua, PEG-12 Dimethicone, PEG-6 Caprylic/Capric Glycerides, Phenoxyethanol, Pyrus Malus (Apple) Fruit Extract, Glycerin, PEG-40 Hydrogenated Castor Oil, Sodium Citrate, Panthenol, Ethylhexylglycerin, Disodium EDTA, Citric Acid, Sodium Hydroxide.